I am pleased to announce that I have had TWO awards bestowed upon me! (“Aw, shucks…” she blushes.) So without further ado (because these are inadvertantly WAY overdue), I would like to explain them, give my own nominations, and importantly, add in an extra stipulation. Ideally, I would add in some lovingly-crafted paragraphs describing intriguing details as to why each of my nominees so deserved the award. Alas, I am up against a deadline from a college secretary who needs my handout masters for copying, and we all know that making secretaries annoyed is very bad form. Instead, I shall aim for a few tantalising adjectives and let you enjoy discovering some new, fabulous blogs! 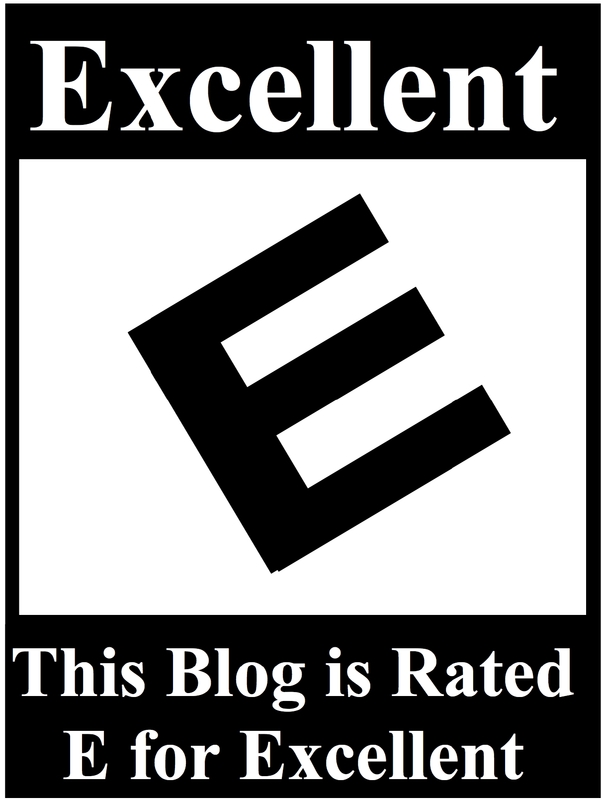 A black and white graphic with the inscription, "Excellent" at the top, a tilted capital E in the center, and at the bottom, the phrase, "This blog is Rated E for Excellent". By accepting this Excellent Blog Award, you have to award it to 10 more people whose blogs you find Excellent Award worthy. You can give it to as many people as you want but please award at least 10. Well, as if that wasn’t enough, on the 4th of July TherExtras nominated me for a really interesting award, the Arte y Pico. Only I didn’t get any message telling me such. In fact, it was only because every once in a while I go back and look through my WordPress “dashboard” section that tells me who has linked to my blog, that I discovered that Excavator had also nominated me for this same award, on August 6th. 1. Pick five blogs that you consider deserve this award for their creativity, design, interesting material, and also for contributing to the blogging community, no matter what language. 2. 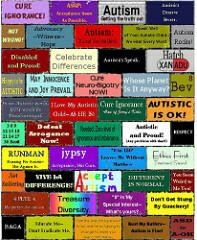 Each award must have the name of the author and a link to his or her blog to be visited by everyone. 3. Each award winner must show the award and put the name and link to the blog that has given her or him the award itself. Award-winner and the one who has given the prize have to show the link of “Arte y Pico” blog, so everyone will know the origin of this award. All this makes me realise that I need to update my blogroll, but in addition to everything else I have to go to market today, so that’s not going to happen for quite a while. SEND THEM AN E-MAIL OR POST A COMMENT ON THEIR BLOG. So they know. And don’t have to discover it accidentally, long, long down the road. Thank you. And, thank you three for the awards, and thank you all for sharing your thoughts with the world by blogging! Oops, Andrea. My bad. I’m still new to blogging, and I completely overlooked the piece about notifying the recipient! Then I left to go on vacation and forgot all about it. Two weeks later I’m back, and working my way through the mass of posts in my reader, found this and realized my screw-up. Anyway, you richly deserve the award. I admire your blog very much. Congrats on winning the awards, Andrea! Thank you for the award. I really am flattered. 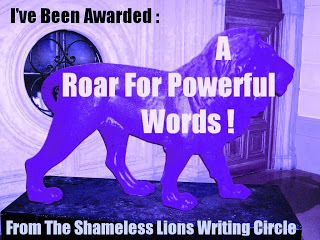 This is my very first blog award ever! Thank you, Andrea! I’ll see if I can’t pass this on in the next couple of days here. Aha! I went back into your archives, and there on a July 5 post, I left a comment where I told you I tagged you for an award. Yes, your blog is Excellent. 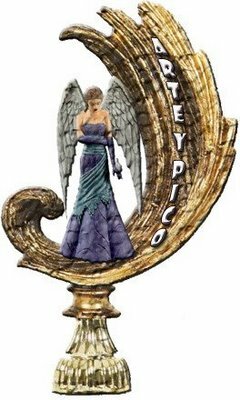 From: TherExtras: I cannot explain how you did not get my message or prove that I sent on, but I am SURE I notified you of the award – either by email or by a comment. Thanks for linking the award post today, and know that it was not an intentional slight. I have you on my favorites list, and visit often, and comment in measure ’cause I worry about being where I shouldn’t – which brings me to my anxiety with the awards. I’m just not sure how these awards fit into my blog presence, and I’m not sure people really want/like getting one from me. Of the five people who I tapped to receive the award, only 1 picked-it up happily. I’ve since seen the same pico award all over the place. It’s kinda cool looking, but I think it’s a an advertising gimmick – a good one – someone’s craft blog. Why, thank you! Really! You have dispelled few wisps of the cloud of despair that hath settled o’er me as my summer’s lease hath run completely the heck out, to mangle a Shakespeare reference in a completely snarled way. And don’t tick off the secretary, no matter what. Those people RUN things. I would like a badge, please, thank you. You also get major points for picking xkcd. Because xkcd is awesome.